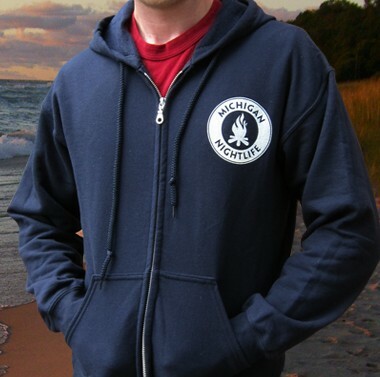 This navy adult zip-hoodie celebrates the Northern Michigan tradition of sitting by the bonfire with friends and family. Perfect for keeping the chill off at the beach during those cool Michigan nights. **This product ships directly from Michigan Nightlife.